It is normal if a woman always wants to look beautiful and gorgeous. Women have the desire to be able look beautiful in front of others. Especially in front of their spouse, they are eager to always show their beauty. But there a lot of women who use a lot of cosmetics that are harmful to their skin and health in order to obtain beauty. Actually we do not need to use a lot of cosmetics to look beautiful. Women had an inner beauty. With the inner beauty that women will look the most beautiful women. With a little cosmetic that women will be able to show how beautiful they are from the inside. The use of cosmetics will only show pseudo beauty that would be lost if the cosmetics have been cleaned. However, by using the natural beauty, women can maintain their beauty to any time. How to get a natural beauty? Well, you can use some beauty tips that are frequently used by women who care about their health. 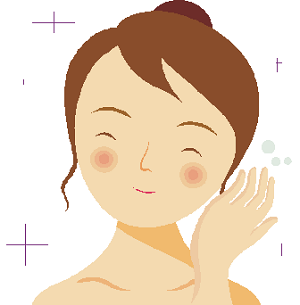 In order to get a natural beauty, the most important thing you should consider is the health of your body. By having a healthy body then you can easily show your natural beauty. It's easy to get a natural beauty for you. First, you need to do regular exercise to keep your body healthy. By having a healthy body you will get a glowing face. Second, you should also manage your diet. You should avoid high fat foods and greasy foods. By doing so, your body will be well controlled. Then the third is keeping your rest patterns. Get some rest in accordance with the rules. Sleep for about eight hours a day and get used to not sleep too late at night so when you wake up your body will fresh and ready to do your daily activity.